IrishTrucker - And the award goes to ... CAB Motor Company! And the award goes to ... CAB Motor Company! CAB Motor Company ‘power ahead’of the competition to claim coveted SIMI Irish Motor Industry Award. The Cork-based company took the top spot in the 'Franchised Sales Operation of the Year' category. CAB Motor Company, Main Ford Dealer in Ballintemple, Cork ‘outmanoeuvred’motoring industry competitors with their sales and service offerings to claim the prestigious and heavily coveted title of “Franchised Sales Operation of the Year”at the SIMI Irish Motor Industry Awards which were held in the Clayton Hotel Dublin on Thursday, February 16. The friendly and professional team at CAB were seen to demonstrate excellence and best practice in their category over the last 12 months by an independent judging panel. The awards now in their seventh year were attended by over 700 of the Motor Industry’s senior figures and guests and presented by RTE Sports Commentator & TV presenter Marty Morrissey. Conor Cavanagh and John Wilkins we on hand from CAB to accept the award. 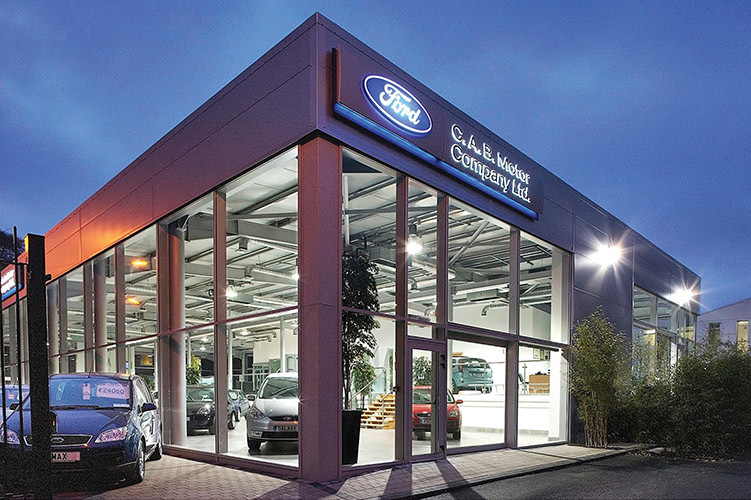 The award winning company, which is a Main Ford Dealer and the largest of its kind in Munster, employs 50 full time staff. CAB Motor Co. offers the full range of new Ford vehicles including the sporty Ka+ to the iconic Mustang, as well as the extensive range of Ford commercial vehicles, which dominate the Irish LCV market. In addition, they have a full complement of used vehicles, aftersales accessories as well as parts and servicing facilities. The company was founded in 1925 to meet the growing needs of Cork motorists and are proud of their deep roots in the local community including numerous local sponsorships and charity beneficiaries. Recently they have partnered as sponsors for College Corinthians AFC and the Cork Senior Hurling and Football teams as well as donating a brand new Ford Focus to raise funds for St Vincent de Paul for the past 4 years running. Commenting on their latest achievement, Dealer Principal of CAB Motor Company Conor Cavanagh said: “We are delighted to win Franchised Sales Operation of the Year at the Irish Motor Industry Awards. Alan Nolan, Director General of the SIMI, said: “The SIMI Irish Motor Industry Awards in partnership with Bank of Ireland Finance is a night of celebration for our Industry. “Our members across the country work hard in contributing both locally to employment and to the economy overall. To win this accolade is extra special as it recognises their efforts and dedication to stand out from the competition. Conor Cavanagh is the third generation of his family involved in the motor trade. The Cavanagh’s can trace their motoring roots back to 1919 in Fermoy, Cork. Tom Cavanagh Snr was self-educated and worked as both a mechanic and taxi driver, in 1938 he was appointed as an Authorised Ford Dealership. Through some very difficult years due to the Second World War and the levies which were imposed on businesses as a result, he successfully grew the business ensuring a solid foundation for the future. Tom Cavanagh Jnr was born in 1931 and was very interested in the business, he attended University College Cork where he studied Commerce and was heavily involved in sport, winning the Sigerson Cup and was named UCC Best All Round Athlete for 3 consecutive years. Tom returned to the business in 1954 at 23 and grew the business, eventually adding Cavanagh’s of Charleville, Dungarvan and CAB Motor Company to the company’s portfolio, all operating under the Ford brand. CAB Motor Company was purchased in 1973, a company that had been a trusted Ford Dealer in Cork city for 48 years. At the time of the takeover, there was only 3 Ford Dealers in the city and Tom moved the Fermoy management model (which had worked so well in both Fermoy and Charleville) to CAB Motor Company. Conor Cavanagh, meanwhile, served his time training as a mechanic in Fermoy before attending Cork RTC (Now the Cork Institute of Technology) to study Business Studies. With a huge interest in motors and the motor trade, he worked in every aspect of the business before taking over the reins of CAB Motor Company in 1989. To this day Conor has maintained his father’s legacy by continuing the Fermoy management model and adding his own stamp by focusing on training, teamwork and career progression to set CAB and its staff apart from competitors and deliver a truly personal and unique customer experience. CAB Motor Company's state of the art facilities are located in the shadow of Pairc Ui Chaoimh, adjacent to the site of the old Ford Factory. A focus on customer service lies at the heart of everything they do and a genuine attempt is made to ensure that “customer service”is something which is truly unique and memorable. In many cases they have up to four generations of the same family driving Fords, purchased and serviced by CAB. 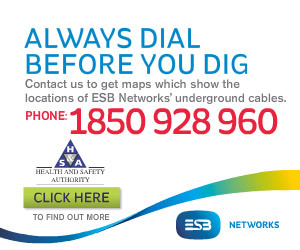 They primarily operate in Cork City and county but have customers scattered throughout the country. With the company founded in 1925, they have been very fortunate to have the support of Cork motorists, in some cases, several generations of the same family. CAB Motor Company's customers come from all walks of life which is fitting for a brand such as Ford. They have a fantastic model line-up, from the affordable Ka+ to the iconic Mustangs, luxurious Vignale and the rubber burning Focus RS. In short, they have a car to suit every need, want, budget and desire. 2015 was a big year for the company as it celebrated its 90th year in business and became Ireland's first FordStore (launched in March 2016). A FordStore designation is applied to only a select few Ford Dealerships and provides a brand new environment for customers to discover more about the Ford range of products and services. The showroom has been completely refurbished and re-fitted to give a brand new environment for their customers to discover more about the Ford range of products and services. In addition to this is the ability to exclusively sell the Ford Vignale Range, Ford RS range and the iconic Ford Mustang. 2016 also saw the company been awarded the prestigious Ford Chairman’s Award for excellence in customer service. To experience for yourself what the FordStore is all about, call into the multi-award winning CAB Motor Company's showroom where you will be guaranteed a warm welcome.